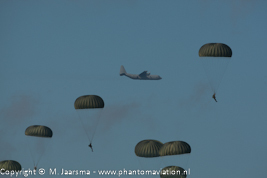 The first edition of exercise Falcon Leap was held in September 2015. 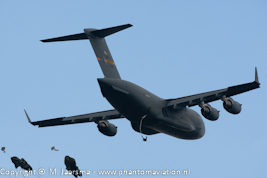 It marked the first time a C-17A participated in the Market Garden commoration jumps and the second time para jumps were made from the Globemaster III in The Netherlands.The first C-17A jump took place at the Ginkelse heide on May 22, 2014 with the Heavy Airlift Wing providing the aircraft. 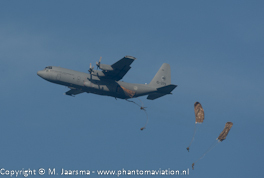 The formation of the Falcon Leap aircraft: RNLAF C-130H.30, GAF C-160D (2x) and BAC C-130H. 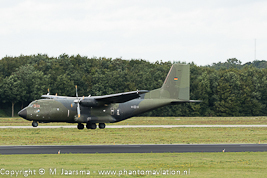 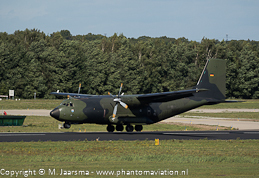 The two C-160D Transalls from LTG 63 arriving at Eindhoven. 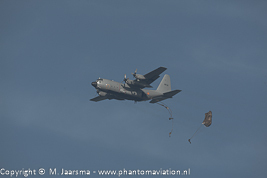 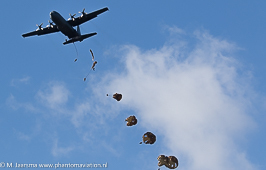 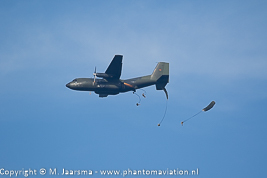 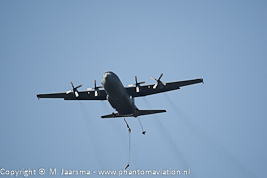 The RNLAF Hercules starts the drop followed by the German Transalls and the Belgian Hercules. 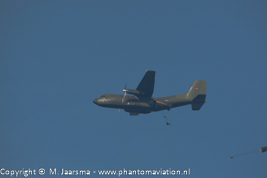 Dutch Hercules in the circuit for the next drop while para's jumped from the other aircraft. 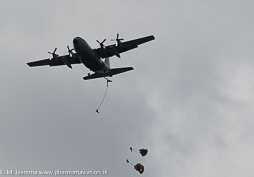 Dutch and Belgian C-130s over the Ginkelse heide (city of Ede) parallel to the N224. 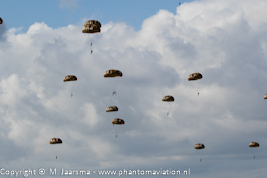 Para's over the Ginkelse Heide during the Market Garden commemoration jumps.